If you are interested in the Tokugawa Shogunate period, this is the tour you are really looking for. 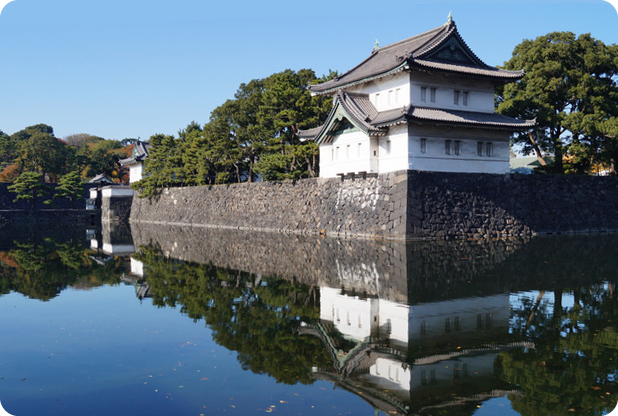 The city of Edo, former Tokyo, was developed around the Edo Castle. Edo Castle of the Tokugawa government became the Imperial Palace after the Meiji Restoration in the late 19th century. The East garden of the Imperial Palace is abundant with some of Tokugawa period historic relics, trees and flowers. Seasonal beauty of the garden is also a theme of this tour. There still remain some feudal lords' gardens in Tokyo that preserve the authentic samurai spirit. This tour will present you the relation between old Edo and present Tokyo. Tuesday. Wednesday. Thursday. Saturday. Sunday 9:00a.m.-5:00p.m.